There are Reading Challenges flying around left and right on the web over the last few days. Taking all of that into consideration, I decided to create my own. 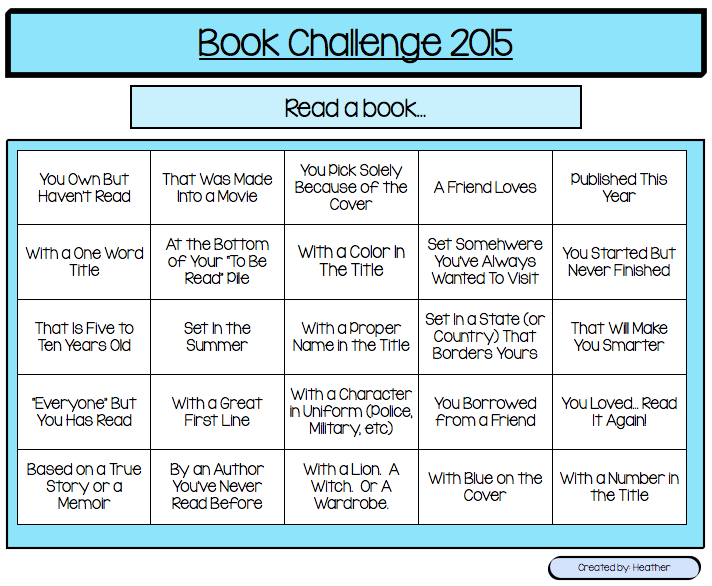 Here it is... my Reading Challenge 2015.